Nine Twenty Technology have been working in close partnership with Glasgow-based agency Fore Digital to help build their team with the finest digital talent. We caught up with Head of Marketing Brian Grassie to find out about life at the agency and their future growth plans. Hi Brian! Can you tell us a little about your background, and how you came to work for Fore? 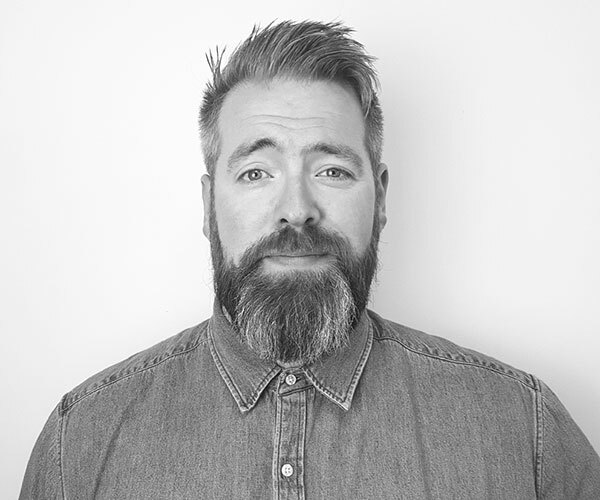 Following a few years working agency side in Glasgow, I set up as a Marketing Consultant with a number of clients focusing mainly on Paid Social and Search. I was invited to meet with the guys at Fore, and must admit that I felt that it would be difficult to pry me away from working solo. However straight away I could see that Fore's ambitions and my own were totally in sync. A commitment to enjoying the work we do, and a shared desire to create a working culture that was inclusive and innovative. The guys asked what I felt my potential role should involve and quickly we were all in agreement that it was time to team up. What does your role in the business entail? It's pretty wide ranging and diverse, which I love. Day to day I head up the marketing team and we deliver a variety of campaigns and projects from social PPC and live event promotions, through to lead generation focused PPC campaigns. Outwith this, I’m heavily involved with developing the company's strategy, and work across departments to ensure our campaigns and projects are as successful as possible. What are the benefits of working for a growing business like Fore? Being rewarded as the company grows. As a fairly young company we are growing constantly, and this means that everyone here can play a part in how we go forward. Fore love new ideas, doing things differently and finding ways to blend creativity with commercial success. It might be developing a script to help automate an Adwords campaign, or we could be breaking Facebook again with huge numbers of comments on one of our Live Competitions. Can you tell us about any projects you're working on at the moment? Client-wise, I’m working with an excellent home-cooking delivery brand, the concept is pretty cool and Glasgow has been chosen as the launch city. I’m also working with one of the UK's leading car dealerships, an area we are developing a bit of a reputation in. A fashion brand came on board last week and we are loving their ambition to do something bold. Strategically I am working on constantly enhancing my team's capability in terms of PPC across Adwords, display and social. This will be done through a combination of training our existing team and bringing in some new faces who can play a part in our evolution. What's your favourite thing about your job? The culture. We are a close team, the pace is fast, we don't sit still and there's real satisfaction in being part of something that's collaborative and expanding so quickly. No one is pigeonholed into a predefined role. Sure, we have areas of expertise and KPIs like every company, but everyone here knows they have the right and the obligation to get involved. I am also heading up a forum that will see us develop greater links with charitable organisations, with the aim of allowing everyone at Fore to dedicate some of their time and expertise to very worthwhile causes. From my time as a senior manager in the charity sector I know that bringing in industry expertise comes at a cost, so where possible Fore are looking to give something back with dedicated pro-bono time, which can include dedicated days for designers to work on branding, or our PPC team working to assist organisations with their campaigns free of charge. It's something that I think will make life here even more rewarding. What does the future look like for Fore Digital? We are currently preparing for a major launch of our brand over the coming months and the creative process for this has been superb. We’ve had awesome ideas from across the entire team including a bunch of stuff that we don't even know if it's possible to do. It's lining up for something that we feel will really set us apart from the off-the-shelf options. To find out more about Fore Digital and their services, you can visit their website.